The last week of the year is always an interesting time… While we are recovering from the excesses of Christmas (sooooo much food! ), we may be thinking of what we can do better next year. Personally, I don’t like New Year resolutions. The expectations are generally too high, which sets us up for failure. I prefer doing my best and striving to be generally more mindful of what I do throughout the year. I try to be healthier (eat better, exercise more), but I won’t beat myself up if I temporarily relapse into old habits. I refuse this sort of guilt! Some people decide to go on a “yarn diet” in the New Year. I find it such a dreadful term! Yarn brings such joy to people like us, whereas diets… well, they are rather ghastly for everyone, aren’t they? Nowadays I can resist more easily. Why? 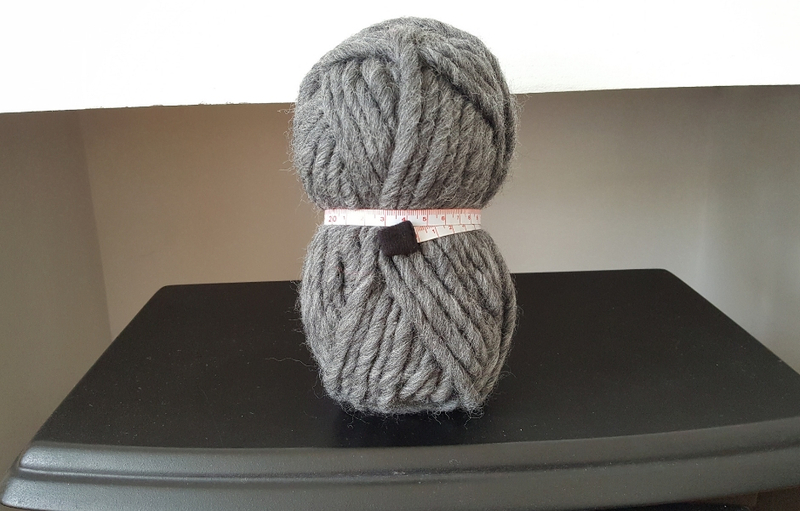 Because I have decided to ask myself a few more questions about what yarn is made of before buying. Mainly, I try to resist yarn made of 100% acrylic. Acrylic being a type of plastic, it has its advantages, of course. I wouldn’t dream, for instance, of gifting a handwash only, 100% wool blanket to the parents of a newborn – they have enough on their plate already! Natural fibres may be a bit more expensive and require more care, but given my circumstances (I work full time, I don’t have kids, I’m not rolling in money but I can afford a few occasional treats), I decided I could make an effort. I was an organic, natural decision, resulting from my increasing awareness of environmental issues, especially surrounding plastic. 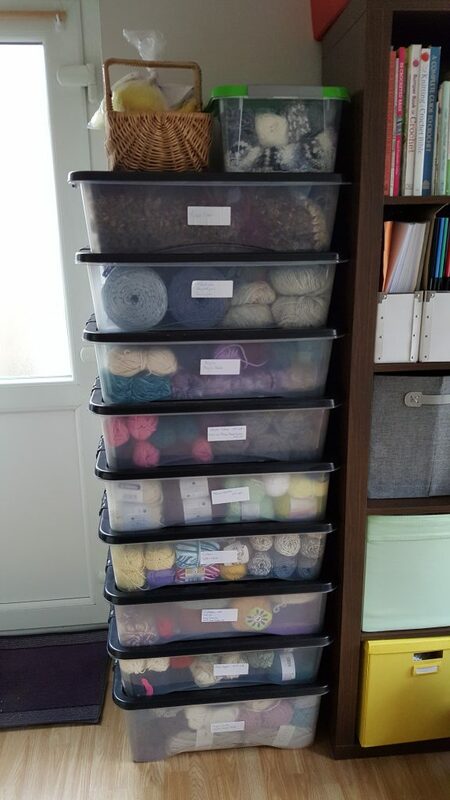 So now I am more picky about the yarn I buy and this has helped me get my stash under control, as some of you may have seen when I shared a picture of my “tower of yarn” on social media a couple of months ago. What’s your own attitude towards artificial versus natural fibres? Are you an impulse buyer or are you able to show restraint when you set foot in a yarn shop? I’d love to know!